Keep it simple! My colleagues at the desk keep on telling me when I report on what is happening in Iraq at the moment. The audience in my home country Holland has problems understanding what is going on. As soon as we journalists in Iraq mention Sunnis and Shiites, they seem to panic. A Dutch TV reporter was even asked not to mention them at all. “But this is all about Sunnis and Shiites”, he protested. Our editors sigh with relief when we cover the situation of Christians who fled Mosul. That is nice and simple; and Christians that is what our readers and viewers in the West can connect to. I do understand that it is hard to connect to fighters who show only eyes, to radicals who execute soldiers and police who tried to flee from their wrath, to atrocities committed because of religious differences. This urge to keep it simple probably also led to the whole world blaming ISIS for taking over Mosul and fighting the Iraqi army. I felt like someone shouting in the desert in those first days, as I already knew that label ‘ISIS’ did not cover the content of the fighters involved. Nobody seemed interested. ISIS is nice and simple: a group of radicals who extended their fight for an Islamic state from Syria to Iraq. The fact that they are only a small minority in the coalition of former Baathists and other radicals is too complicated. Or too difficult to comprehend for our poor readers, listeners and viewers. Even though by continuing to call the fighters ISIS, we repeat the propaganda that comes from Baghdad. The Iraqi Prime Minister knows he has the world on his side if he paints the force that confronts him as radical as possible. That is what the West connects to: the fear of an Islamic State. I wonder if this is because people in the West are not too bright, or because Iraq is too far away for them to be able to get it right. I hope for the last option. That’s why I have kept trying to reach them, with the whole story and not just the simplified one. And after almost two weeks of fighting, Iraq moved off the headlines. People started to get tired of the story. Other subjects moved to the front pages. At the same time we here in Kurdistan have to deal with the fallout of the war that is only a small drive away and that could threaten us too: petrol shortage, thousands of refugees seeking a roof over their head, food products getting more expensive. Now I realize how far our worlds are apart. We are here, and they are there, in the West. It really is a world of difference. Mosul, Kirkuk and even Tikrit are next door from where I live in Iraqi Kurdistan, and people abroad have a hard time understanding that the crisis going on there is not directly effecting me. I know how it must look to the outside world. Radical Muslims take over the second largest city in Iraq, with the Iraqi army fleeing in disarray. Thousands fleeing their homes for fear of the extremists. How can people that live no more than eighty kilometers away, still feel safe? Our sense of safety here in Kurdistan is a different one from that of those living in parts of the West that have not seen violence or war for decades. They do not know how to react, when it gets so near. I expect they would have taken a plane out, if they were in our shoes. Yet foreigners who have lived in Kurdistan for a bit, have adapted to the safety climate here, and do not get out. They occupy themselves with day to day things, new phones and cars, and spending the night out in a nice restaurant. Most have decided to sit it out, somehow convinced by the Kurdish authorities past record of keeping out major threats. I even have a foreign friend who is outside at the moment, and eager to come back to be in these difficult moments with the Kurds whom she has come to accept and love. On the other hand, I am now almost sure that I will no longer be able to attract many tourists to visit Kurdistan for the rest of the year. Whatever we say, however much we vouch that Kurdistan is safe, they look how near Mosul is, and stay away. Saying: better be safe than sorry. Can we blame them? At the same time, I find it hard to get across what exactly is happening out there. Some of the media I work for, tell me to keep it simple, as many Westerners do not understand the difference between Shiite and Sunni – which is the main part of the story. When foreigners look at what is happening in the region, they simply see the radical Islam taking over part of Iraq. They do not care that the story might be quite a lot less simple, that the radicals were already here, that some of them have been functioning inside their societies for quite some time. If it is too dangerous, I should not do a stand-up for TV on the roof, I am told. I should be careful. But it is safe, I keep saying. At the same time, every time outsiders warn me, I stop myself and allow the doubt. To conclude, again, yes it is still safe enough. Please let’s keep it that way. 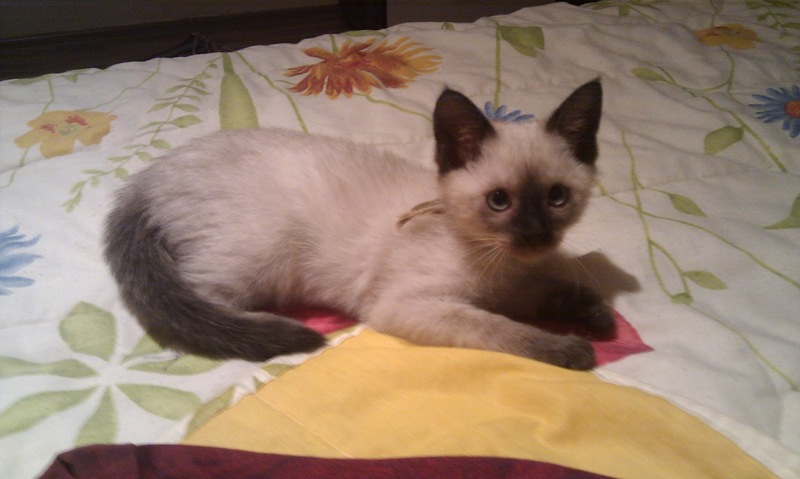 The new kitten that I got from Beirut was quiet and a bit scared inside the special travel bag, and I was a bit nervous too; how would we be received in Iraqi Kurdistan? 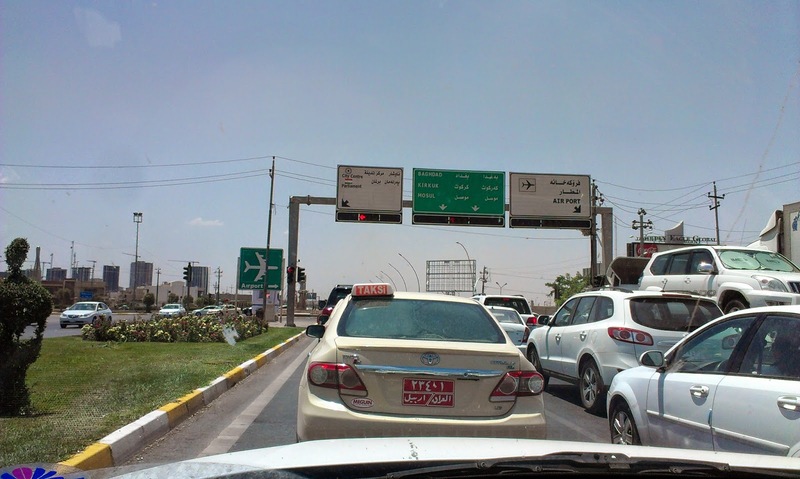 After arrival at Erbil Airport, I reported to the customs there. Ah, a cat. Did I have the passport and the declaration of health? Could I wait five minutes for the vet? I was taken back in my mind to my arrival at Sulaymaniya Airport in 2008. I had decided to come and live in Kurdistan to set up a training centre for journalists, and could not leave my two cats behind. So we traveled together to my new home. Upon arrival in Sulaymaniya, nobody knew what to do about the cats. Everybody wanted to see them, as they had never seen Siamese cats before. They had been vaccinated and chipped, according to international regulations; it had cost me a lot of money. But at the airport I was asked by the officials what they should do about the passport. Stamp it? Then I thought I could easily have taken the animals in without bothering with the chips and the vaccines. Even so I understood the nonprofessional treatment at the airport – it was all still so new for the Kurds, then. Their own autonomous region, their own administration, their own airport, everything. How different this is, six years on. The officials at the airport knew what to do. At the same time as me, a young couple with a tiny dog turned up. And then a real vet came, to look at the papers, at the animals and warn us about the next vaccination that is needed. I paid 3000 dinar for the vet’s signature, just over 2 dollars. And then I could just walk out and take the kitten home. 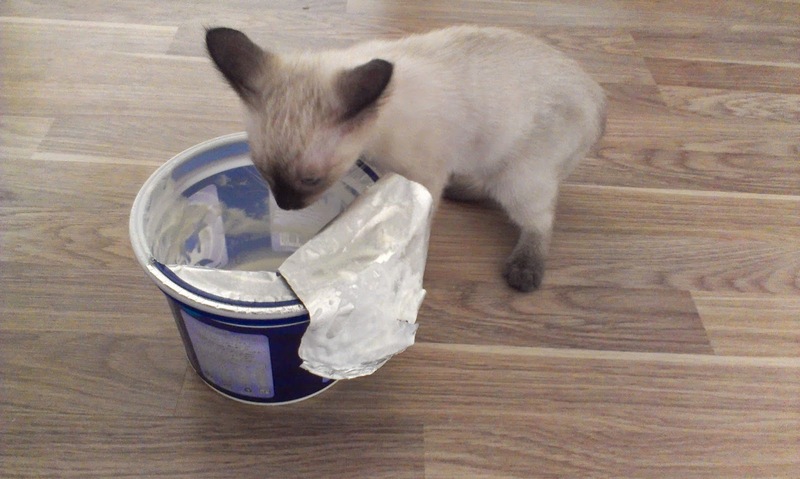 And now, I can feed her on what I find in the shops – while until about two years ago I could not buy cat food locally, nor any cat litter needed for its toilet. I had to import it all. That is a major change, and it tells me that as there is a market for the products, there are more people with cats at home. Does that mean a change in habits in Kurdish homes, where cats have mostly been chased away? I do not expect so. I think most pets live with foreigners, some perhaps with returnees. The little dog also came in with a couple that had lived abroad. But what I am celebrating today, is that the Kurdish world around me now is aware of a different life style. And, most importantly, it is not turning away from it, but opening up to it. And now I am waiting for the first visitors to come and admire the kitten, in stead of being afraid of it.